The right nutrition, at the right time. Plant a fall feast that will sustain your whitetail herd with a 25-lb. 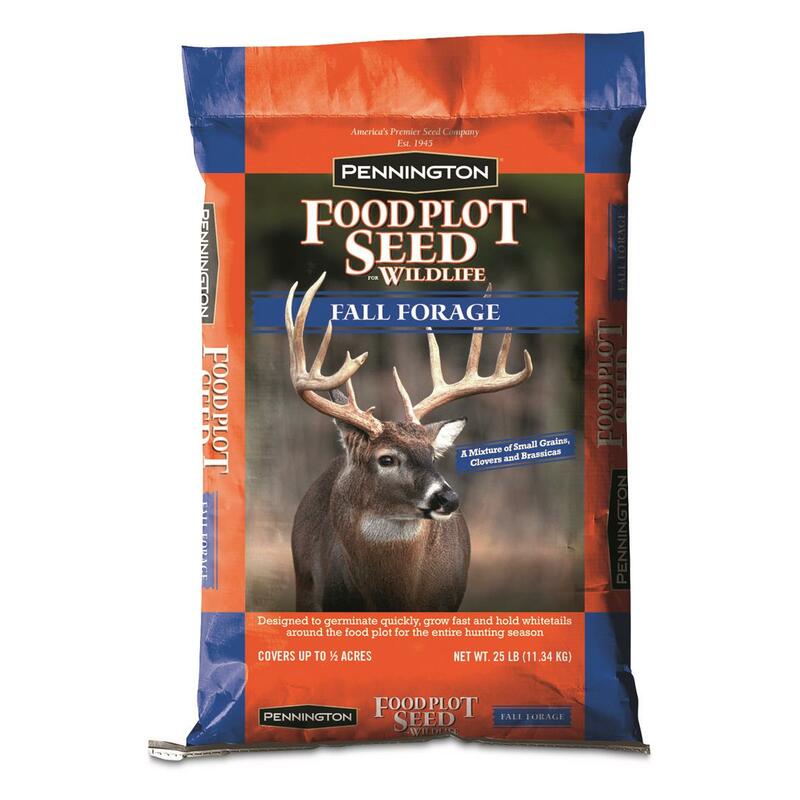 bag of Pennington® Fall Forage Plot Seed. The blend of small grains, clovers and brassicas germinate quickly so you can plant in the early fall and provide nutrition into the winter when food sources are more scarce. Deer will keep coming back for more! Feed deer what they want and need.